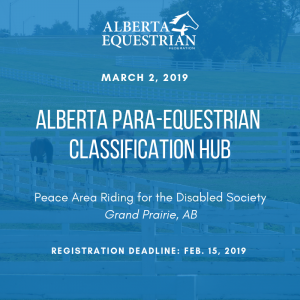 Attention para-equestrian athletes! 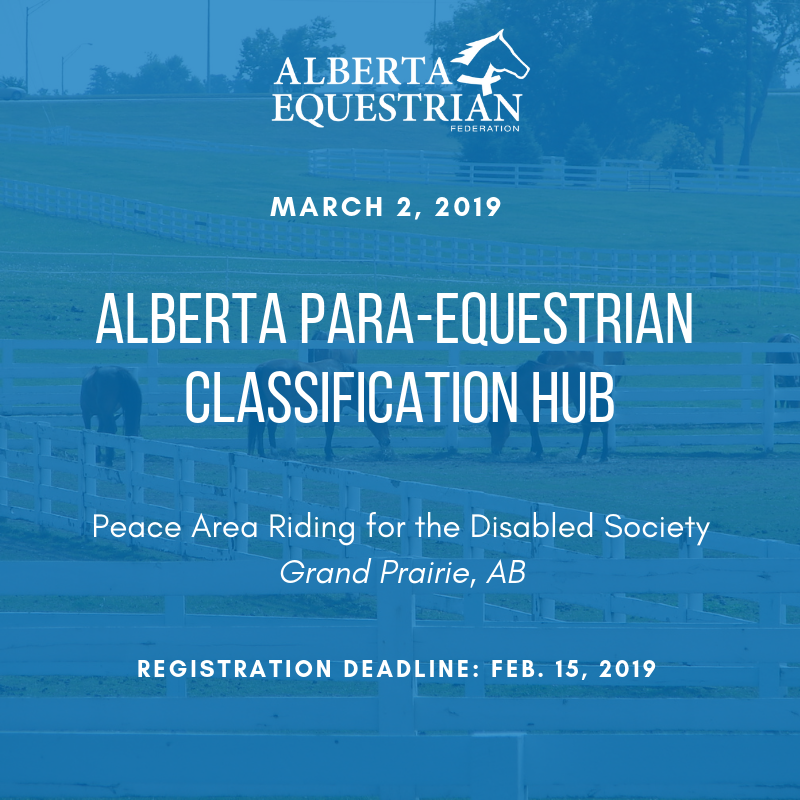 A Para-Equestrian Classification Hub is taking place on MARCH 2, 2019 at Peace Area Riding for the Disabled Society. Classification is available to para-athletes who are actively competing at the EC Bronze level and are ready to progress to Silver and Gold.